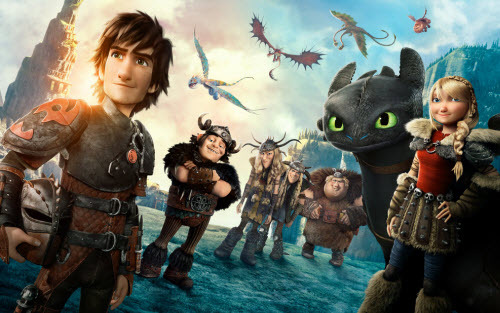 Following the successful predecessor, DreamWorks creates How to Train Your Dragon 2 in 2014. It is a much greater story that takes the characters to new places and cultures, introducing new characters and Dragon species in the adventures. Five years after Hiccup successfully united dragons and Vikings in the island of Berk, a villainous new enemy, Drogo, plots a massive invasion. Now, Hiccup and Toothless must unite to stand up for what they believe while recognizing that only together do they have the power to change the future of both men and dragons. "More mature and thematic than its predecessor, How to Train Your Dragon 2 is an emotionally resonant and heartfelt flick that expands upon the story of Hiccup and Toothless and their connection. With swooping and stunning visuals and epic animated set pieces, this is a sequel to remember, a modern masterpiece. I want to save the Dragon 2 DVD disc on my computer for enjoying in the future, but a question coming up is that could I backup it to hard drive freely?" 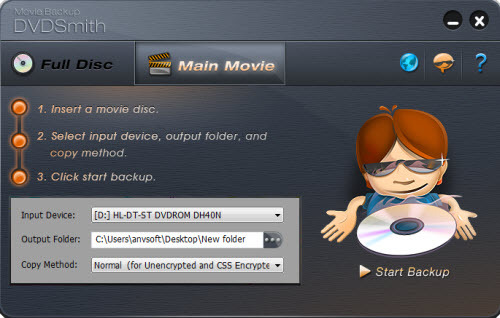 DVDSmith Movie Backup is a 100% freeware that enables Windows users (Mac version) to decrypt and remove all copy protections from DVDs and backup to DVD folder saved in hard drive at 1:1 ratio. Moreover, it is available to choose "Full Disc" or "Main Movie" mode to clone favorite DVD movies. Preparation: Download DVDSmith Movie Backup on Windows (8/7/Vista/XP) or Mac (10.10-10.6). 3. Click "Start Backup" to start copy DVD movie Dragon 2 to DVD folder for saving in computer hard drive. There are VLC media player, Windows media player and some other popular media players to play DVD folder freely. If you want to play the DVD How to Train Your Dragon 2 on mobile devices, like iPhone 6 Plus, or would like to stream it to HDTV with Roku 3, come to Any DVD Cloner Platinum for help now!